Maybe I can agitate my friends at CMoG or maybe even the Johnson Museum @ Cornell to have one of these. I was surprised that MassMoca hasn't jumped on board. Or even Gimme? 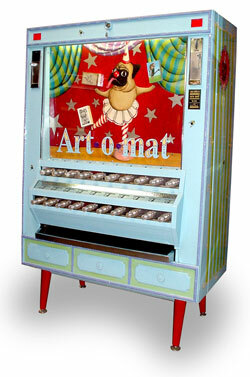 The Artomat Machine shown above is from Monkey Hill in Lambertville, NJ.